In early May 2018, US President Donald Trump unveiled his decision to withdraw from the Joint Comprehensive Plan of Action (JCPOA), a 2015 multilateral agreement that took force in early 2016 and eased economic sanctions against Iran in exchange for agreeing to scale back its nuclear activities. This withdrawal will effectively undo the protection against primary sanctions granted to US businesses in specific areas and that against secondary sanctions, as applicable to foreign persons in a wider range of sectors of the Iranian economy. The United States’ unilateral departure will occur in a two-stage process, which is set to begin in August and to conclude in November 2018, following which all pre-JCPOA US sanctions will be re-established to their full effect. Iran has been subject to debilitating sanctions and trade restrictions since the middle of the 1980s and especially the mid-1990s when the Clinton administration first enacted extraterritorial sanctions against the Iranian energy sector. For the time being, all the other parties to the JCPOA have vowed to uphold their commitments and preserve the deal intact. However, the liberal-minded administration of President Hassan Rouhani remains vulnerable to criticisms from conservative circles of the Iranian political establishment and wide swaths of Iran’s population. The JCPOA has largely failed to deliver on ambitious promises of economic prosperity for Iran’s middle classes, and the termination of US participation in the deal considerably undermines its growth potential even if the other participants remain fully committed. Following waves of street protests in Iran in late 2017 and again in May 2018, the Rouhani government has recently signalled a possible resumption of uranium enrichment above 4%, which would stand in clear violation of the JCPOA. Meanwhile, the European Union has been unsuccessfully seeking to secure waivers or other exemptions from the Trump administration for its companies in Iran. The forthcoming enactment of the amended EU Blocking Regulation is unlikely to shield large EU businesses from US secondary sanctions; numerous multinational firms have already announced plans to exit Iran. 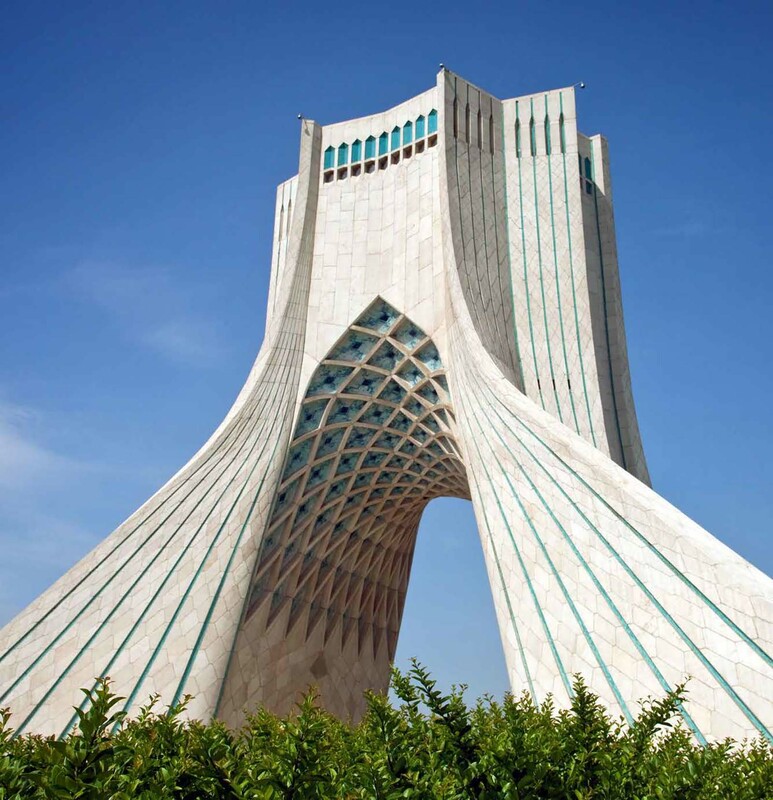 Third-party due diligence in Iran post-November 2018 will need to focus on a wide array of sanctions and reputational issues. Non-US businesses with limited or no exposure whatsoever to the US jurisdiction, including through US dollar-denominated transactions, may continue to consider investment, manufacturing and services opportunities within the Iranian market. However, although sanctions risks might be limited or insignificant, they will still have to screen their third parties for any links to controversial and/or sanctioned individuals or entities affiliated with the Revolutionary Guards (IRGC), Supreme Leader Ali Khamenei or broadly the Iranian government. Speaking from the White House on 8 May, US President Donald Trump announced his country’s withdrawal from the JCPOA, a nuclear accord brokered over the period of 2013-2015 by the five permanent members of the UN Security Council (US, UK, France, Russia and China) plus Germany. In his speech, he said that the “so-called ‘Iran deal’ was supposed to protect the United States and our allies from the lunacy of an Iranian nuclear bomb”, yet it had “allowed Iran to continue enriching uranium and, over time, reach the brink of a nuclear breakout”. The president decried in his usually hawkish style “very weak limits on the [Iranian] regime’s nuclear activity and no limits at all on its other malign behaviour”. While Iran has had to curb its nuclear ambitions in line with JCPOA requirements, its continued support to the Assad government in Syria, Houthi rebels in Yemen and Hezbollah in Lebanon has long rattled America’s key allies in the Middle East, Saudi Arabia and Israel. Days earlier, Israeli Prime Minister Benjamin Netanyahu had publicly accused Iran of having repeatedly lied to the international community about the extent of its nuclear programme and of harbouring secret plans to possess ultimately an atomic weapon. Prior to his announcement of a complete withdrawal from the 2015 deal, Trump decertified Iran’s compliance with the terms of the JCPOA in October 2017 and refused to recertify it in January 2018. This was done under the Iran Nuclear Agreement Review Act (H.R. 1191, Pub.L 114–17), a special law passed by US Congress in May 2015 for the purpose of reviewing—and sabotaging, if need be—any agreement that the Obama administration might conclude with Iran. A key provision of this law was introduced through an amendment to the Atomic Energy Act of 1954 taking the form of the new Section 135 entitled “Congressional review and oversight of agreements with Iran”. In particular, the US president was made to certify every 90 days that the “suspension of sanctions [was] appropriate and proportionate to the specific and verifiable measures taken by Iran with respect to terminating its illicit nuclear program […] and […] vital to the national security interests of the United States”. Decertification provided Congress with an ability to re-impose pre-JCPOA sanctions, in a fast legislative process capped at 60 days, by a simple majority of Republican votes in both chambers. However, the Trump administration refrained all the way through the first week of May from recommending such a course of action—and Congress obliged. The Iran sanctions regime, as implemented and expanded by the US government since the hostage crisis of 1979, is unquestionably the world’s most complex. In November 1979, President Jimmy Carter issued executive order (EO) 12170 declaring a national state of emergency in connection with the Iran crisis. The Clinton administration renewed the “state of emergency” declaration in March 1995 when it formally banned US investments in the Iranian energy sector before issuing two months later a blanket ban on trade with and investments in Iran. In 1997, it banned US companies’ exports of goods to third countries for further incorporation into products to be sold to Iran. Restrictions against imports of Iranian crude oil have existed in the US since the International Security and Development Cooperation Act of 1985. They were reconfirmed by EO 12613 of 29 October 1987 and expanded by EO 12959 of 6 May 1995, which prohibited not only the importation of but also any trading in oil originating from Iran. The following year, the US enacted its first truly extraterritorial sanctions against the Iranian oil and gas sector with the adoption of the Iran and Libya Sanctions Act in 1996. Increasingly more stringent trade and financial restrictions were codified via the 2006 Iran Freedom Support Act, the 2010 Comprehensive Iran Sanctions, Accountability and Divestment Act, the 2012 Iran Threat Reduction and Syria Human Rights Act and the 2012 Iran Freedom and Counter-proliferation Act. Iran has been invariably designated by the US executive as a state sponsor of terrorism since 1984 and as a state “not fully cooperating” with US antiterrorism efforts since 1996. Therefore, US trade restrictions, in particular as far as sales of arms/dual-use goods and direct US financial assistance are concerned, have been in place since the 1980s and were not affected by the JCPOA. In order for Iran to benefit from the statutory lifting of existing sanctions, the US president must certify that the Iranian government 1) has ceased supporting acts of terror; 2) has given up its pursuit and development of WMD, including nuclear weapons and ballistic missiles. Given the Obama administration’s inability to demonstrate a tangible change in the direction of Iranian policy, it entered into the 2015 nuclear accord as a purely political commitment. US adherence to the JCPOA was thereby made subject to the regular waivers of various statutory sanctions—at 120-day, 180-day and six-month intervals. According to Donald Trump’s latest orders, the pre-JCPOA sanctions against Iran will be gradually re-established, respectively at the end of 90-day and 180-day wind-down periods. On or after 6 August, the US Treasury’s Office of Foreign Assets Control (OFAC) will re-impose restrictions affecting Iran’s ability to purchase US dollars; to trade in gold and other precious metals, raw or semi-finished metals (including aluminium and steel), coal, graphite and software; to maintain rial-denominated accounts abroad; to trade in its own sovereign debt, etc. Sanctions will also be re-imposed at that time against the Iranian automotive sector, the importation into the US of luxury goods from Iran and the export/re-export of commercial aircraft and spare parts. On or after 4 November, OFAC will reinstate previous sanctions relating to ports; shipping; shipbuilding; oil and petrochemical transactions; operations between foreign financial institutions and Iranian banks or the Central Bank of Iran; underwriting services; insurance/reinsurance; specialised financial messaging services and Iran’s energy sector. Finally, General License H of January 2016, which has allowed foreign subsidiaries of US persons to conduct permissible business with Iran under the JCPOA, will be revoked as of November 2018. Iran’s reaction to repeated suggestions that the Trump administration might end up exiting the deal unilaterally, short of a revised agreement covering non-nuclear issues (e.g. ballistic missiles, cyberattacks, etc. ), had been predictably harsh. Following Donald Trump’s refusal to recertify the country’s technical compliance with the JCPOA in mid-January 2018, the Iranian Foreign Ministry issued a statement ruling out any renegotiation of the landmark accord. Foreign Minister Mohammad Javad Zarif told reporters in late April that it was “very unlikely” for his government to stick with the deal if the US withdrew. He also mentioned a possibility of returning to uranium enrichment as well as proceeding with “more drastic” measures, which he did not specify. Zarif’s deputy, Abbas Araghchi, sounded even more pessimistic when he said a week later that Iran was no longer interested in the JCPOA regardless of whether the US stayed or walked away, instead. According to Araghchi, Iran had the capability to resume swiftly the production of 20% enriched uranium whereas the JCPOA had imposed a non-negotiable 15-year enrichment cap of 3.67%. As the looming deadline for Trump’s much-awaited decision drew closer, Zarif took to Youtube and Twitter on 3 May in order to exhort the US authorities to uphold the deal. Shortly after the 8 May announcement, senior Iranian officials suddenly adopted a more conciliatory tone. Iran’s president, Hassan Rouhani, promised to stand by the JCPOA if the remaining five countries, excluding the US, continued to do the same. He warned, though, that the above-limit enrichment of uranium could be restarted at short notice should the multilateral agreement collapse. Iran has since been voicing its dissatisfaction with Europe’s “insufficient” efforts to preserve the deal amid growing nervousness among western companies, some of which have already made public pledges to quit the Iranian market if no compromise were to be found with the US. The PR campaign, which has been mostly relayed through high-ranking government officials, has so far culminated in a decision (as of 5 June) by the Iranian atomic agency to step up enrichment capacity at the Natanz facility, central Iran. This nuclear site launched operations in 2007, in violation of numerous UN Security Council resolutions, but was brought under international control as per the JCPOA. The US withdrawal from the 2015 nuclear agreement is a major blow to the reform-minded administration of Hassan Rouhani and his backers in the Iranian parliament. Rouhani’s victory in the May 2017 presidential election over Ebrahim Raisi, a conservative cleric once rumoured to be a possible successor to Supreme Leader Ali Khamenei, was largely made possible by assurances of lasting growth and prosperity due to the lifting of sanctions. Anger over unfulfilled promises resulted in violent street protests in December 2017 and January 2018, only to be followed by a new wave of civil unrest in May 2018. The government has vowed to clamp down on all forms of unrest, which it says has been fuelled by Iran’s foreign enemies, mainly the US and Israel. The weakening of Rouhani’s reform agenda, whose core tenet has consisted in improving ties with the West, could well lead to the downfall of his liberal administration and the return to power of anti-JCPOA conservatives. Faced with Donald Trump’s decision to terminate US participation in the JCPOA, the other members of P5+1 have all reconfirmed their commitment to the accord. The Foreign Ministry of Russia, which has been itself under US and wider western sanctions since 2014, said it was “deeply disappointed” with the American withdrawal, adding that the latter was “undermining international trust in the International Atomic Energy Agency”. As a front-line negotiator with Iran since the early 2000s and a source of significant post-JCPOA investments in the country, the European Union has taken up the most vocal stance in support of the nuclear accord. EU High Representative for Foreign Affairs and Security Policy Federica Mogherini stressed that “the nuclear deal [was] not a bilateral agreement and it [was] not in the hands of any single country to terminate it unilaterally”. She pledged coordinated efforts to safeguard European economic and security interests in Iran. The EU has consistently argued that Tehran remains compliant with the JCPOA, based on 12 verification reports issued by the IAEA since January 2016 (last dated 24 May 2018). Both the JCPOA (article 36) and UN Security Council Resolution 2231of 20 July 2015 offer any party to the agreement an opportunity to force a so-called “snapback” of sanctions upon Iran in the case of “significant non-performance”. Such a measure would have called for an affirmative vote at the UN Security Council. The Trump administration has not availed itself of this legal provision because of the IAEA’s repeated statements as to Iranian compliance. Thus, contrary to what has been reported by many media outlets, the American decision to re-impose sanctions, starting on 6 August 2018, amounts to a unilateral reinstatement of the US government’s pre-JCPOA regime rather than a snapback. On 4 June, the foreign and finance ministers of France, the UK and Germany, as well as Mogherini, sent a collective letter to the Trump White House asking for sanctions relief for European companies. It is unclear whether the letter has elicited any response, but a lack thereof stands out as the most plausible scenario. The EU still intends to prop up the JCPOA by means of a blocking statute. On 6 June, the European Commission approved a delegated act amending the annex to the EU Blocking Regulation, formally known as Council Regulation (EC) No 2271/96. The initial statute dates back to November 1996 and was designed as a way to protect European economic interests from the Clinton administration’s extraterritorial sanctions with regard to Iran and Cuba. One important caveat: it never had to be enforced after the US government had agreed to certain concessions for the benefit of Europeans. The amended regulation will enter into force within a two-month period—by 6 August when the first US sanctions should be reintroduced—provided that neither the European Parliament nor the Council objects to it. Despite the assurances being given, there is no certainty that EU companies will choose to expose themselves to US secondary sanctions, even at risk of being fined by the European Commission for non-compliance with the blocking regulation. This applies more specifically to the US prohibition, under the Iranian Transactions and Sanctions Regulations (ITSR), on re-exports to Iran of “US-controlled” goods or non-US goods with more than 10% of US content. As further proof of the EU strategy’s structural weakness, the European Investment Bank (EIB) has recently balked at the prospect of extending credit to Iranian-focused projects in an apparent breach of US financial sanctions. Meanwhile, leading French firms such as Total, PSA and Engie, to name a few, have made public their plans to leave Iran. In spite of the easing of restrictions for US persons under the JCPOA, the Iranian market has continued to remain unattractive for most US businesses. The inability of US persons to transact with entities listed under EO 13599 of February 2012, which identifies leading government-controlled companies with a presence in strategic sectors of the Iranian economy, has undermined the potential for post-JCPOA deals. Likewise, the general prohibition on US persons’ dealings with Iranian financial institutions that are effectively barred from the US financial system has been a major impediment to Iranian-American economic cooperation. Specific deals were still made possible by the JCPOA and relevant changes to US licensing rules. They include the landmark sale of 80 passenger aircraft by Boeing to Iran Air, which had been preliminarily removed from the “specially designated nationals” list by the Obama administration. Still, it was primarily non-US companies, including those from the EU, Russia, China and India, that benefited from the removal of secondary sanctions against large chunks of the crisis-stricken Iranian economy. EU investments in particular have received direct and indirect support from member states through government-owned development banks, export credit insurance corporations and public-private partnerships. The full reestablishment of pre-JCPOA US sanctions means that the Iranian market will be accessible as of late 2018 to a small fraction of investors and suppliers limited to foreign persons with very little or no US exposure. The examples of Total (France), Maersk (Denmark), Lukoil (Russia), Siemens (Germany), Reliance Industries (India) or Honeywell International (US-based but acting through a non-US subsidiary) all exiting Iran by the end of 2018 highlight large companies’ predicament, i.e. to keep doing business there while complying with primary and/or secondary sanctions. Although the field is open to small and mid-sized players, especially in specialty or niche industrial areas, they will still face serious challenges—insurmountable to many—in raising funds for their Iran operations or even making one-off payments. Moreover, Iran’s return to the status quo ante will very likely entail reduced corporate transparency as a growing number of local businesses will search for ways to avoid sanctions. For those staying committed to the Iranian market, untangling complex beneficial ownership structures will be as crucial as the need to anticipate and clarify, through local source enquiries, any links to the Iranian government, the Islamic Revolutionary Guards Corps (IRGC) or Supreme Leader-affiliated economic vehicles. Beside the risk of violating US sanctions, such counterparties carry substantial reputational risks. Joint Comprehensive Plan of Action, US Department of State website, 14 July 2015. Remarks by President Trump on the Joint Comprehensive Plan of Action, White House website, 8 May 2018. P5+1, as the group of six negotiators came to be known, was initially formed in 2006. European countries had launched early talks with Iran regarding its controversial nuclear activities back in 2003. In Europe, P5+1 is generally referred to as E3+3. Israel Claims Proof of Secret Iran Plans for Nuclear Weapons, Bloomberg, 30 April 2018. Despite the decertification, President Trump has continued to waive economic sanctions against Iran, as required by separate US laws. According to his announcement dated 8 May and subsequent guidance from the US Treasury and State Department, pre-JCPOA sanctions will be reintroduced on or after 6 August and 4 November 2018, respectively. Trump Decertified The Iran Nuclear Deal. Now What?, Forbes, 13 October 2017. Trump waives Iran nuclear sanctions ‘for last time’, Al Jazeera, 12 January 2018. Iran Nuclear Agreement Review Act of 2015, 114th Congress (2015-2016), US Congress website. A very detailed overview of US Iran sanctions can be found in: Kenneth Katzman, Iran Sanctions, Congressional Research Service, 11 May 2018. The Iran and Libya Sanctions Act was renamed Iran Sanctions Act (ISA) in 2006. In addition, President Barack Obama revoked, by virtue of EO 13716 dated 16 January 2016, certain executive orders, namely EO 13574, 13590, 13622, 13628, and 13645, to enable US implementation of the JCPOA. Entities identified pursuant to EO 13599 of 5 February 2012, which orders the blocking of US assets belonging to the Central Bank of Iran or any government-controlled Iranian entity, will be moved by OFAC to the SDN list and become subject to secondary sanctions on or after 4 November 2018. Iran rejects Trump’s call for changes to nuclear deal, Al Jazeera, 13 January 2018. ‘It will not be very pleasant,’ Iran warns, if Trump sabotages nuclear deal, The Guardian, 22 April 2018. Iran Deal No Longer ‘Sustainable’, Regardless of Trump, Deputy FM Says, Haaretz, 30 April 2018. Weapons-grade uranium is enriched at roughly 90%. Iran’s foreign minister warns no renegotiating nuclear deal as Trump decision looms, NBC News, 3 May 2018. Iran vows to stick with deal after ‘pesky’ Trump’s departure, The Guardian, 8 May 2018. Iran says Europe’s support for nuclear deal not enough, Reuters, 20 May 2018. Iran to boost uranium enrichment if nuclear deal fails, BBC, 5 June 2018. Russian foreign ministry says disappointed by Trump’s Iran decision, Reuters, 8 May 2018. Remarks by HR/VP Mogherini on the statement by US President Trump regarding the Iran nuclear deal (JCPOA), European External Action Service website, 8 May 2018. United Nations Security Council Resolution 2231 (2015), UN website, 20 July 2015. Europe Asks U.S. for an Exemption From Sanctions on Iran, New York Times, 6 June 2018. The amendment in question took the form of additional references to the following US laws and regulations: Iran Sanctions Act of 1996 (ISA); Iran Freedom and Counter-Proliferation Act of 2012 (IFCA); National Defense Authorization Act For Fiscal Year 2012 (NDAA); Iran Threat Reduction And Syria Human Rights Act of 2012 (TRA); Iranian Transactions and Sanctions Regulations (ITSR). Council Regulation (EC) No 2271/96 of 22 November 1996 protecting against the effects of the extra-territorial application of legislation adopted by a third country, and actions based thereon or resulting therefrom, European Commission website. This new provision of the EU blocking regulation could easily become contentious since the US authorities have historically denied exports or re-exports to Iran of US-origin/US-controlled goods by both US and foreign persons. This restriction was not eliminated as part of the JCPOA and is not directly related to Iran’s nuclear programme, which the JCPOA has sought to address. EU’s bank says cannot ignore U.S. sanctions on Iran, Reuters, 6 June 2018. Along with the blocking regulation, the EIB’s direct involvement in the funding of Iranian-based projects is one of the four main proposals floated by the EU to counteract US sanctions. Other proposed measures include strengthening intra-sector cooperation between EU and Iranian businesses, as well as encouraging member states to effect one-off money transfers to the Central Bank of Iran to pay for oil imports. Total Stops Iran Gas Project as Risk From Sanctions Too High, Bloomberg, 16 May 2018. France’s PSA suspends joint ventures in Iran to avoid U.S. sanctions, Reuters, 4 June 2018. Engie says to end engineering contracts in Iran by November, Reuters, 18 May 2018.